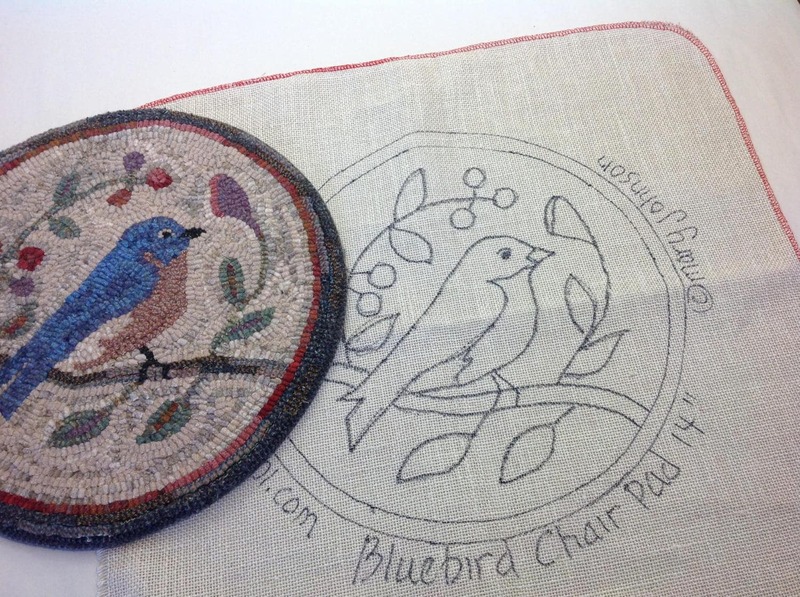 This listing is for the PATTERN, "Bluebird Chair Pad". It will finish 14" round. 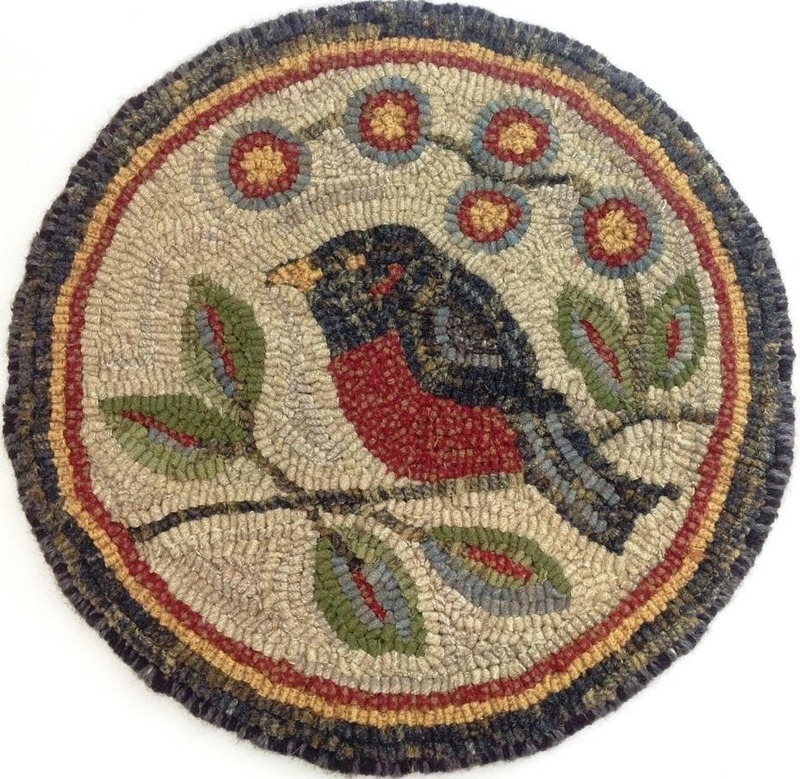 An easy rug hooking project that will hook up quickly into a chair pad or table mat, ready to enjoy this Spring and all through the year. 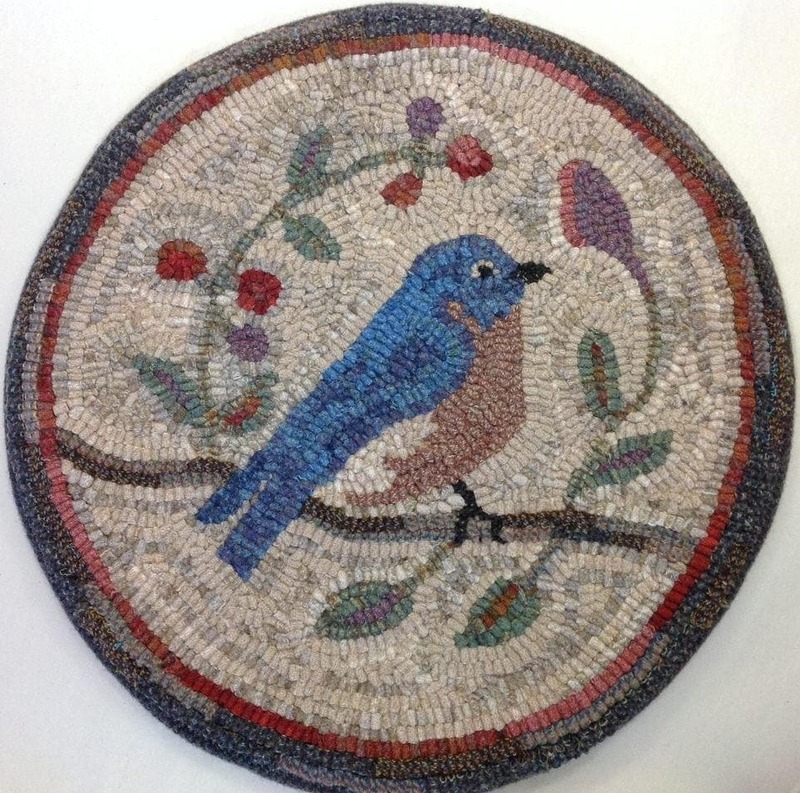 In this listing you are purchasing the PATTERN only, hand drawn on your choice of either cotton monks cloth or primitive linen. All the raw edges on the backing fabric have been serged to prevent raveling while hooking. Four inch allowances on all sides makes it fit on most lap frames and hoops. The backing fabric measures about 22" square. 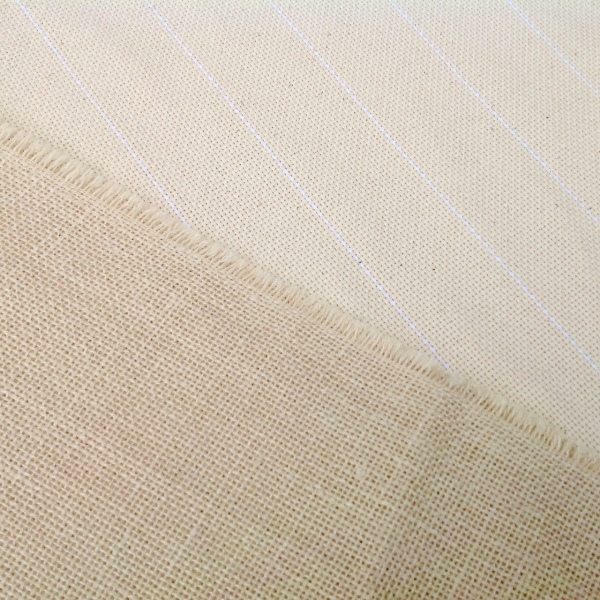 For the difference between cotton monks cloth and primitive linen, see my FAQs. If you would like to purchase the KIT with the pattern on backing fabric of your choice and also the option to have your wool cut into #8 strips, please see listing K110. Photo 4 shows my "Red Robin Chair Pad" design, Pattern, listing J761 or Kit, listing J637, which coordinates with this chair pad. Quick shipment in good packaging. Would order from them again.